This is a surfer’s outpost that will accommodate all your needs in enjoying extreme sports while enjoying the beauty of the Bahamas beach. Brillhart Architecture based in Miami, Florida who managed to make it happen for surfers. Blessed with stunning beach view will make anyone want to come here. 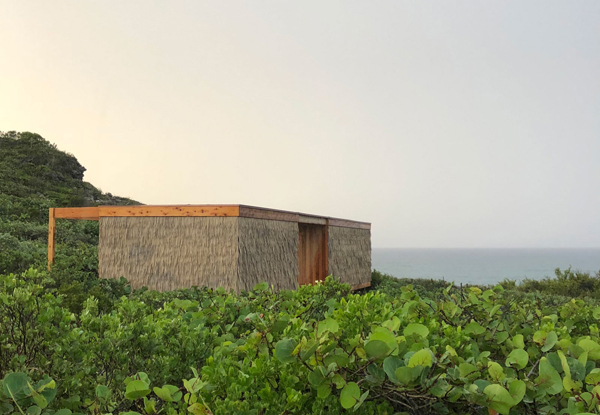 Located on the wild Atlantic coastline of Eleuthera and perched on a cliff overlooking a private beach, this 600 sf outpost is both eco-resort and surf camp. 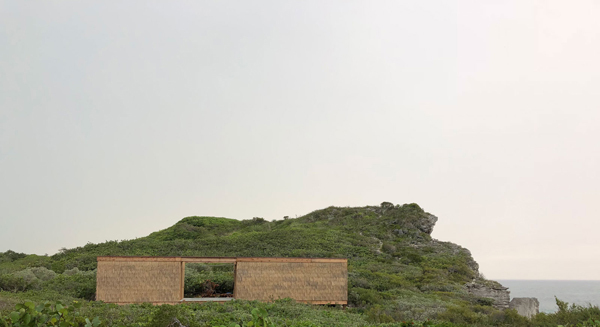 Inspired by the experimental Hatch House (Jack Hall, 1960) on Cape Cod’s Natural SeaShore, the project is a combination of volumes and outdoor decks that dissolve within the landscape. Connecting the two spaces is a long porch that runs along the south side of the building and a central, covered outdoor sitting area. 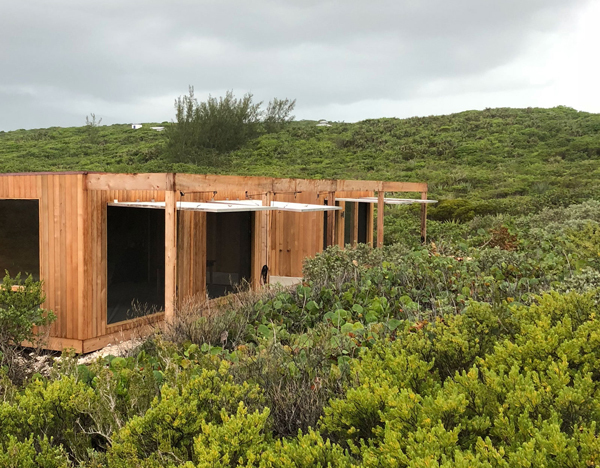 This small court acts as the formal entry into both spaces and also allows one to enjoy the weather while still being protected from the wind and spray coming off the ocean. For a more dramatic outdoor experience, a feature stair was designed to lead up to a roof terrace offering unobstructed 360 degree views. 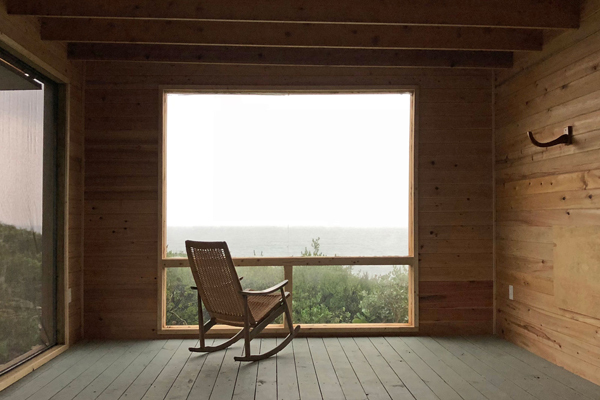 Operable flaps and shutters (maneuvered with nautical hardware and rigging elements) are used along the porch and in front of all the window openings. Designed for multiple uses, the shutters provide shade and control breezes while also adding security while the retreat is unoccupied. Raised a few feet off the ground, the building is constructed of western red cedar and thatch, with a tongue and groove cedar paneled interior. 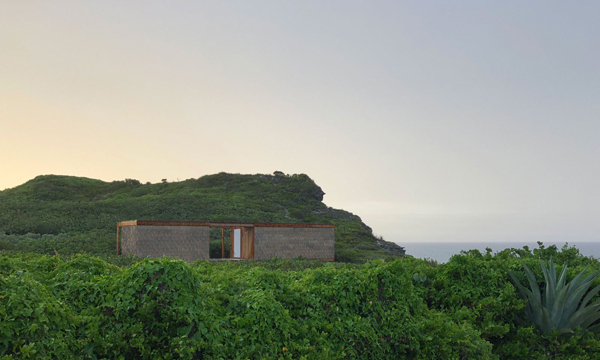 The lightness of the structure, the use of natural materials, and outdoor space that acts as a penetration within the design lets the building fade away.